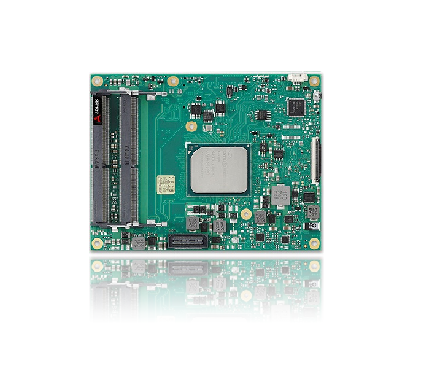 The Express-DN7 is a COM Express® COM.0 R3.0 Basic Size Type 7 module supporting the 64-bit Intel Atom® C3000 processor (formerly “Denverton-NS”) system-on-chip (SoC). 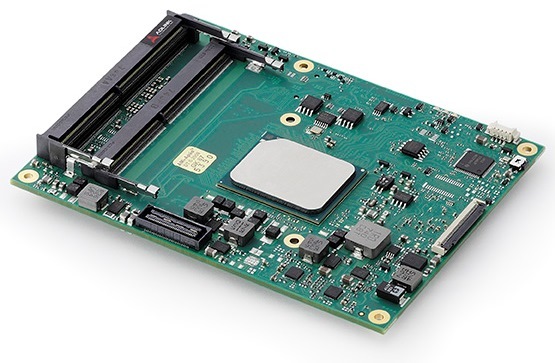 16 CPU cores with 31W TDP and integrated 10G Ethernet make the Express-DN7 especially suited for customers who need excellent computing performance with low power consumption, such as edge computing applications, in a long product life solution. 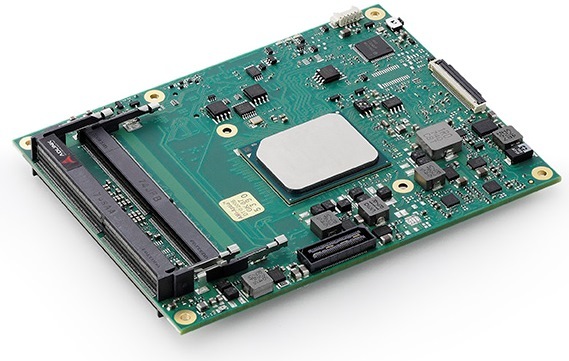 The Express-DN7 features Intel® Quick Assist Technology (cryptographic and compression acceleration), Intel® Virtualization Technology (including VT-x, VT-d), Intel® AES-NI Technology, and DDR4 ECC (or non-ECC) dualchannel memory at 1866/2133/2400 MHz (dependent on SoC SKU) to provide excellent overall performance. In addition, the Express-DN7 has up to three SODIMM sockets supporting up to 48GB of DDR4 ECC (or non-ECC) memory that is fully compliant with the COM Express mechanical specification. An integrated Intel® 10G Ethernet controller supports a maximum of four 10GBASE-KR interfaces, relevant sideband signals and NC-SI. 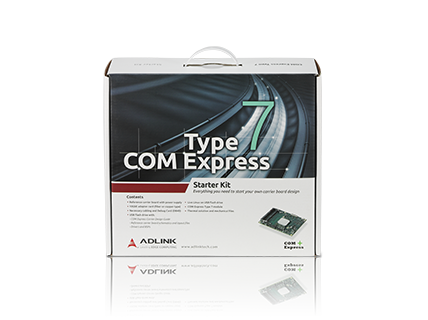 The Express-DN7 is designed to serve customers with optimized computing capability per watt and high speed connectivity requirements who want to outsource the custom core logic of their systems for reduced development time. 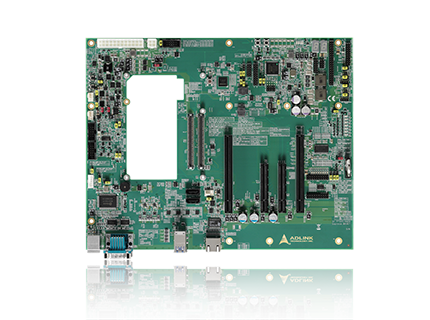 Input/output features include expanded PCIe bandwidth up to two PCIe x8 Gen3 lanes, a single onboard Gigabit Ethernet port with IEEE 1588 support suitable for real-time applications, USB 3.0/2.0 ports, and SATA 6 Gb/s ports. Support is provided for SMBus and I2C. 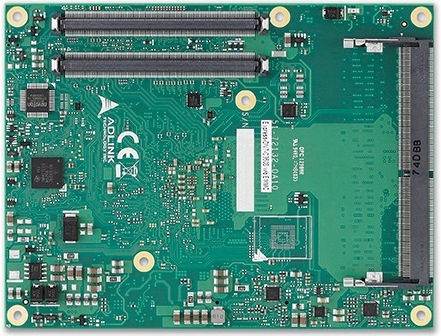 The module is equipped with SPI AMI EFI BIOS with CMOS backup, supporting embedded features such as remote console, hardware monitor, and watchdog timer.